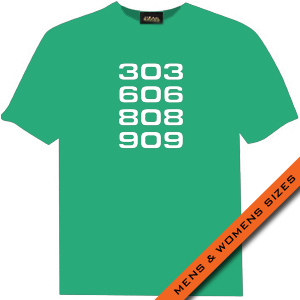 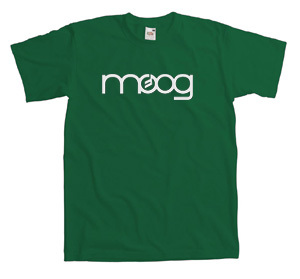 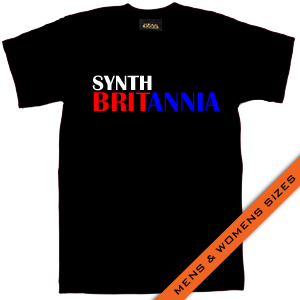 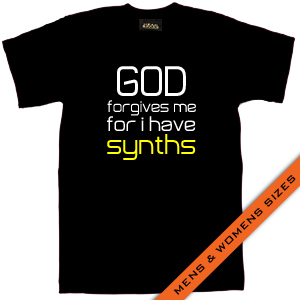 White Moog logo on a green t-shirt. 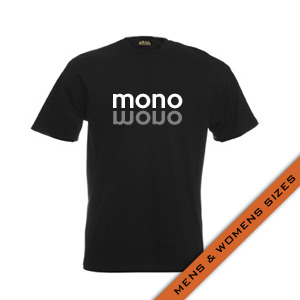 White Moog logo on a burgundy t-shirt. Red Akai logo on a black t-shirt. 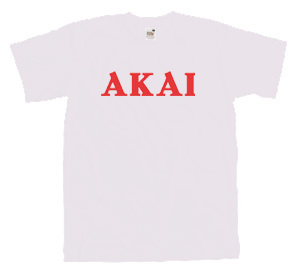 Red Akai logo on a white t-shirt. 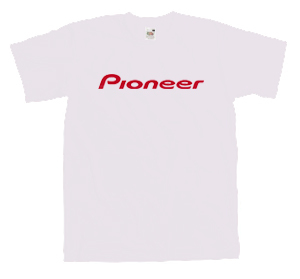 Red Pioneer logo on a white t-shirt. 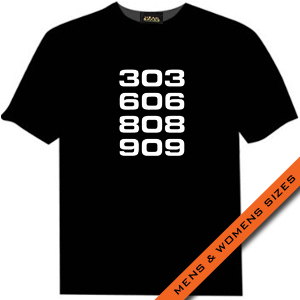 Red Pioneer logo on a black t-shirt. Gold Tascam logo on an olive t-shirt. 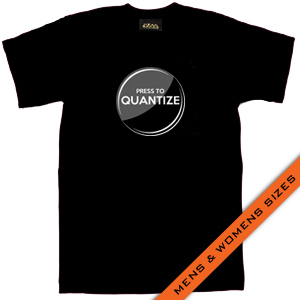 White Novation logo on a navy t-shirt.